Kendra Stripe Lined Panel Set - 84" x 40"
The Burlap Chocolate* Panel Set of 2 84x40 graces the window with a warm brown tone with a breezy sheer finish. Enjoy the soft cotton burlap for years; it never goes out of style! Dimensions 84.0 In. X 40.0 In. X 1.0 In. I bought these in antique white. They are perfect. I love way they hang! They are pretty thick burlap, heavy enough to hang perfectly. They block a little light but are NOT room darkening, which I didn't want. I am so glad I bought these. The color is perfect! I would reccomend these to anyone looking for a more casual living area. They're wrinkled because I was too impatient to wash them and then let them air dry! I just painted my living room and was looking for something more rustic. These curtains are perfect !!! I bought the brown and they were just as described and match my furniture so very nicely !!!!! The price of the curtains were very comparable to other department stores in my area. 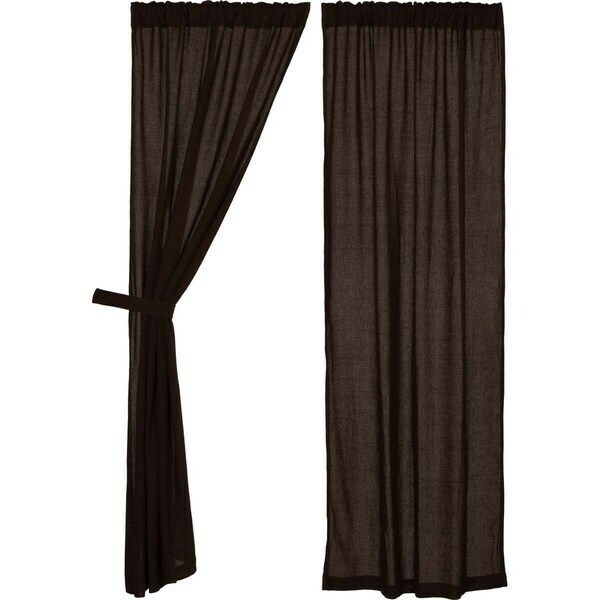 I ordered these and received the curtains very quickly!!!! It took approximately five days for delivery and Overstock keeps you informed the entire time your order is being processed until you receive your package. I am very satisfied with the overall service I have experienced with Overstock.com. 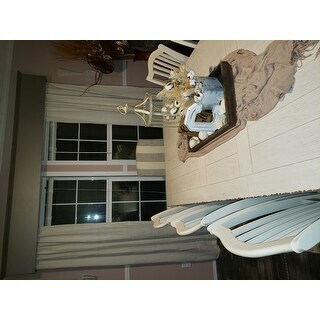 This burlap panel set is beautiful and adds a nice touch to our modern rustic themed home. It looks like it should stand up for a very long time and blocks out a decent amount of light. I never put these up as they were a little more "yellow" brown than what I thought they would be from the photos. They appeared to be good quality, though. They are so pretty that they will be displayed on my beds not the windows.. I love the texture, it is dark burlap and a little rough. It goes great with rustic decor. Loved these curtains. They look amazing with my boho decor. I absolutely love these curtains! They made such a statement in my dining room. Exactly what I was looking for. Nice texture and perfect length. 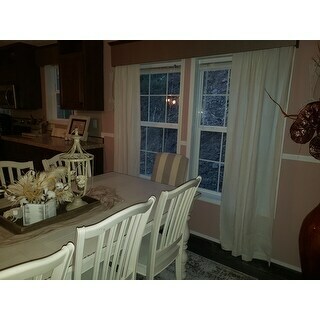 We have purchased the shorter version and want to see the look on our larger windows. The color, the fabric and that it is washable. Also, the price is good. 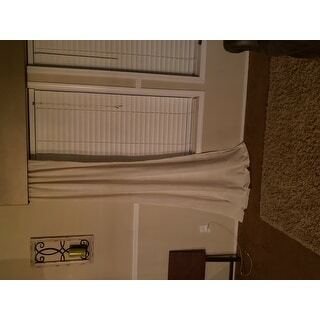 Burlap Short Panel Set - 63" x 36"